(NYSE: Yext), the leader in digital knowledge management (DKM), announced new research on the digital maturity of the food and hospitality sector as part of its Brand Control in the Age of AI study conducted in partnership with Vanson Bourne, an independent research group. Brand Control in the Age of AI surveyed 400 marketing decision-makers from organizations across the United States, including 100 food and hospitality marketers. As customers interact with — and review — brands across a growing number of third-party sites, reputation management is the key area of focus for this group, with 66% planning to focus on "collecting customer feedback" and 51% planning to enhance their ability to monitor and respond to online reviews. 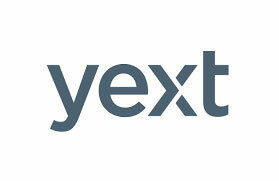 Yext, Inc. (NYSE: Yext), the leader in digital knowledge management (DKM), announced new research on the digital maturity of the food and hospitality sector as part of its study conducted in partnership with Vanson Bourne, an independent research group. surveyed 400 marketing decision-makers from organizations across the United States, including 100 food and hospitality marketers. As customers interact with — and review — brands across a growing number of third-party sites, reputation management is the key area of focus for this group, with 66% planning to focus on "collecting customer feedback" and 51% planning to enhance their ability to monitor and respond to online reviews.